My second least favourite pose of them all. Am so glad it is the second one so I can get it over and done with. Don’t get me wrong, I still do it to the best of my ability but I don’t like bending my torso to the side. When you look at the mirror, everyone is at different levels of bending. Some more deeply, the others like me halfway there. No wonder they call it the half moon pose as we resemble a crescent. It looks easier in the photos but believe me it ain’t! It also helps firm and trim the waistline, hips, abdomen, buttocks and thighs. Me no like! But that’s just me. It makes me stretch so much which is good for me I know. Funny how you don’t like things that are good for you sometimes. Everyone practising will have their most and least favourite pose. It is a good stretch though and bending down, holding my body as tightly as I can together like a Japanese ham sandwich (figure 3 ) does wonders for my hamstring which are seriously tight and unflexible. I need to stretch more! This is the first posture of Bikram yoga. It is called the standing deep breathing / Pranayama posture. If you think that it is quite a mouthful saying it, wait till you come to the other postures. 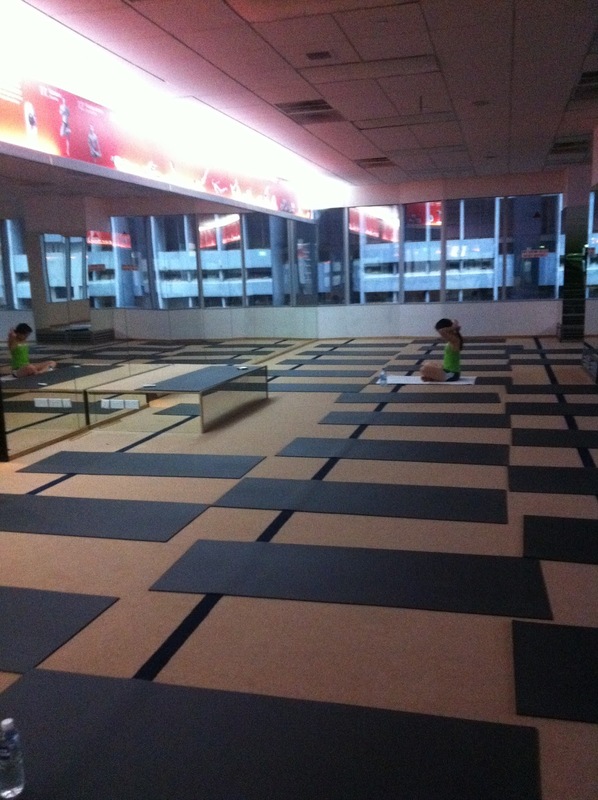 It is the first breathing exercise of which the second one will be done at the end of the class. My instructor says that it will set up your body to do the rest of the poses as this exercise helps you expand your lungs and take in more oxygen. Some people esp beginners start sweating at this stage. Sometimes I do, sometimes I don’t. Really depends on the number of people in the room are stealing my oxygen , thus making me inhale more! lol! 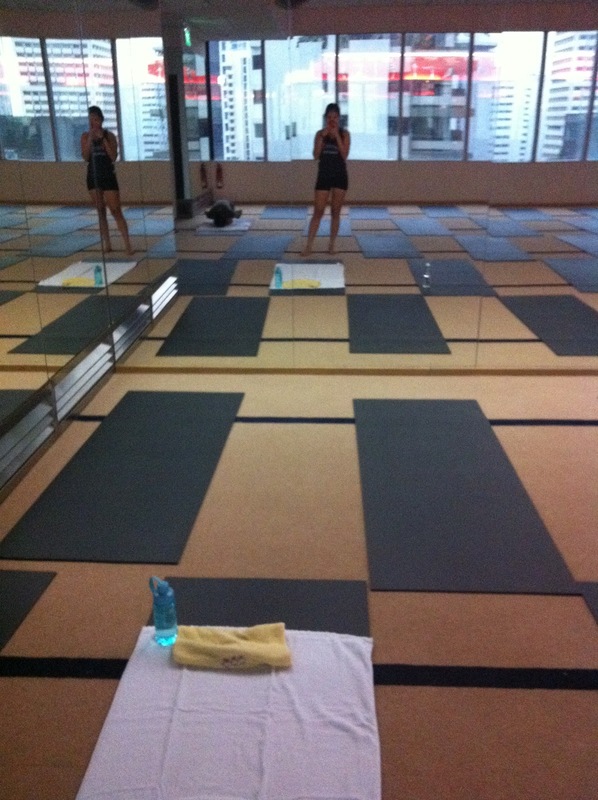 Yesterday’s Bikram was a massacre! Humidity levels were at a high and I have not had such a practice and detox for such a long time. Although I felt totally stifled at times, my neck and back definitely felt the benefits of it today. And as we all know that yours truly have injured her leg, there are not much workouts, save for swimming (which I am not a big fan of, I look like I am drowning more than I am swimming) that I can do without aggravating it. So really, Bikram rocks. What a week. A lackadaisacal week that is. For sports. After the previous week of intense Bikraming as I call it ( I practise Bikram Yoga for those for don’t know), I felt my muscles calling out to me to stop torturing them. Anyway, I was feeling pretty lazy so what the heck. One week of not doing any exercise will kill no one. Am back to my routine this week though, with a short 5k run thrown in yesterday. That hardly countered the brunch I had that afternoon. The run was so so, far from my personal best but I still managed to hit the under 30min mark so it’s not that bad. Shall step it up a notch this week though but nothing of too much vigor. Updating this via mobile as I am too comfy in lying in bed to turn my laptop on. So I finally did what I set out to do. 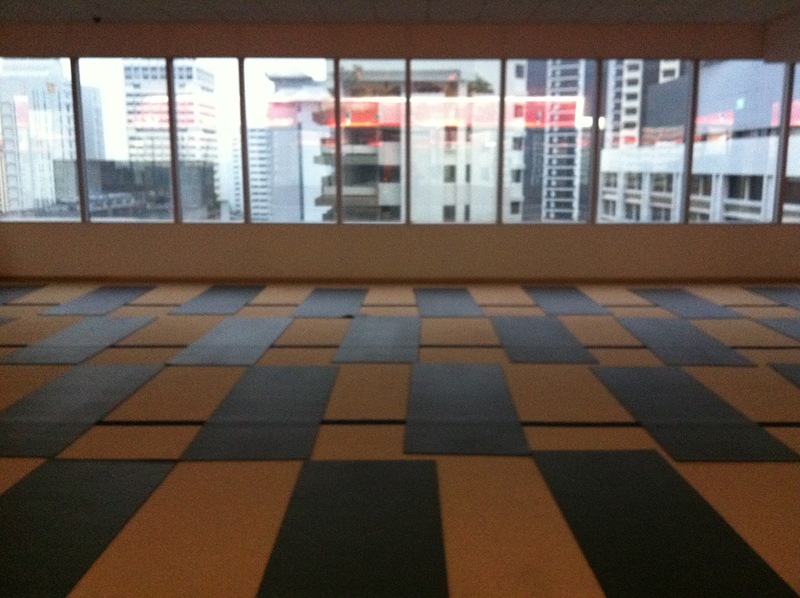 A Bikram yoga session everyday for 5 days straight. Yahoo! But to be honest, by the 4th and 5th lesson, I took it really slow. I like to think that after these sessions, I am more limber and toned but i know I have to maintain it and not get complacent. The funny thing though is that I have not lost any weight. Dang it. It must be muscle I hope. Ping! My watsapp sounded. With my eyes still closed, I knew it was my best friend giving me a reminder text to to go for Day 4 of my Bikram Yoga session. “Yes yes, I am up already lah. ” I replied. Surprisingly, it felt much easier than I thought to psyche myself to go. I am pretty sure that the fact that I was going for a buffet lunch after was the reason. Banking in the calories I call it. It was a moderately intense session; I definitely did not work as hard as I did yesterday evening. But then again that was only because Johnny (my instructor) had his hawk’s eyes on us to make sure we didn’t slack throughout the poses. “Higher, higher , higher” I can still hear his voice. Anyway, I reckon that with every session of Bikram yoga, I burnt an estimate of 400kcal. Boy was I wrong, I burnt an insane amount of 825kcal!! That is just crazy, I would have to run around 15km to get the same results. Yesterday was day two of my practice and today shall be day three of five. Had an easy day two session. Practicing in the afternoon really makes a difference. Less people ( there were only 8 of us) meant that the room wasn’t as stuffy as the night classes where our lungs fight with one another for air. So far, I can feel my flexibility improving a little and I am encouraged by that. Also, the tension in my neck has loosened up considerably and I do not have the tightness I feel every morning when I wake up. Totally looking forward to session 3!